For Maria Rodrigues, the mother of five children, including three with special needs, the adoption of Gidget was not part of her “grand plan”. When her 88-year-old mother-in-law exclaimed, “there are mice in the bed with my Papillon, Lily,” it turned out to be three puppies instead — all needing a special home! Taking care of others is what Maria Rodrigues lives for and it was love at first sight! Gidget, a Papillon and Yorkie mix, became part of the Rodrigues’ household shortly after she was born in April 2014. 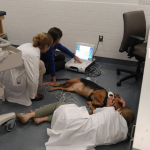 At her initial three-month well visit, the Rodrigues family’s primary care veterinarian diagnosed Gidget with a heart murmur and suggested veterinary cardiologist perform an echocardiogram. 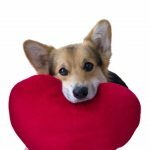 An echocardiogram revealed Gidget had Patent Ductus Arteriosis (PDA), a common congenital heart defect, which is described as an abnormal connection from the aorta to the pulmonary artery, a connection that normally closes soon after birth. 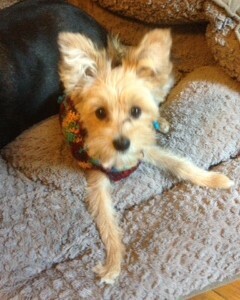 Surgery would be necessary or Gidget could risk heart failure. Maria stepped into action on a mission to get Gidget the care she needed for survival. 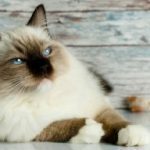 She was referred to Foster Hospital who has veterinary cardiologists in residence with significant experience with this type of surgery in small animals. 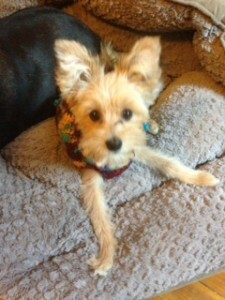 Gidget’s condition worsened and Maria immediately traveled to Foster Hospital’s ER. 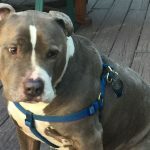 Maria recalls, it was a Friday afternoon when she arrived at Foster Hospital Emergency veterinary staff reported that Gidget was in cardiac failure and would need surgery immediately. The goal would be to stabilize her and get the cardiac failure under control before surgery. Vicky Yang, DVM, explains, “The surgery is done by either opening up the chest to tie off the abnormal connection or for larger dogs it is done minimally invasively with a catheter through the blood vessel.” For Gidget, it meant a BIG surgery because of her small size. 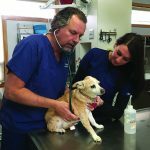 Foster Hospital’s team of veterinary specialists approach to caring was readily apparent in the treatment plan it created for Gidget, who was tended to by general ward techs, anesthesia, surgery, cardiology and the intensive care unit staff — all on a mission to save little Gidget. Student Caroline too smiles when she recalls this case and recognizes how grateful she is for the opportunity to have cared for Gidget during her fledgling veterinary career. “It was humbling to see this small, adorable puppy with such a foreboding cardiac condition still maintain her lively spirit, wagging her tail every time I’d come to greet her. And what an outstanding experience to be part of such a high quality team at Tufts that was able to give Gidget a second chance, and to know that she has such a loving family that continues to enjoy her lively spirit,” said Caroline. After being monitored through the weekend, Gidget had stabilized enough to have surgery on Monday, which was successful in repairing the defect. Gidget went home after a two-day postoperative stay, and at her three-month follow-up proved to be good as new.